Oct 9 Listen, Mary, I have a question. Over the course of at least 30 years, typhoid outbreaks followed you from household to household as you cooked for them and served them your (probably delicious, even with little typhoid bacteria crawling all over it) ice cream. How did you not question even once if there was something else going on? Even after the Health Department told you that you were causing all these outbreaks, how did you keep going and cooking for these people? Typhoid Mary (born Mary Mallon, September 23, 1869, in Cookstown, County Tyrone, Ireland) emigrated to the United States in 1883/84 at about 15, which, quite frankly, is ridiculous. But aside from that, history doesn’t take much notice of Mary until 1906 when she’s about 37 and working as a cook for Charles Henry Warren in Oyster Bay, New York. Between August 27 and September 3, six of the eleven people in the Warren household got sick with typhoid. 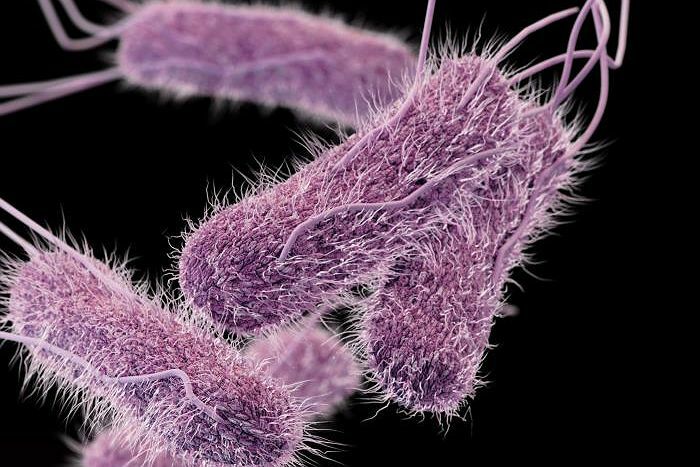 Typhoid fever, caused by the bacteria Salmonella typhi, causes a fever of 103–104F, weakness, stomach pain, headache, loss of appetite, headache, constipation or diarrhea, loss of appetite, and in more serious cases, a rash, rose-colored spots, internal bleeding, and death. In the early 1900s, typhoid was still fatal in about 10% of all cases, even with treatment. Untreated, fatality even today is 30%, but don’t worry. There’s a vaccine now. New York sanitary engineer George Soper (sometimes also called George Sober) was sent to the house to find the cause of the outbreak. He ultimately identified Mary as the carrier and found that her Sunday dessert—ice cream with cut fresh peaches frozen in—was the only meal that wasn’t cooked, so the heat couldn’t kill the bacteria. Thus began Soper’s months-long mission of tracking Mary, starting with her previous employment. Four months after the Oyster Bay incident, Soper approached Mary in the kitchen where she was working and told her he wanted some of her feces, urine, and blood. Which is probably not the greatest way to begin any kind of relationship with anyone. I probably would tell whatever man said that to me exactly where he can stick it. Mary was more straightforward. She grabbed a carving fork. Soper ran. Soper again approached Mary, this time at the home of a “disreputable looking man” she visited, and Mary denied that she was responsible. She said she’d never even had typhoid and that typhoid was already everywhere so she couldn’t possibly be accused of causing all these outbreaks. So, since Soper was clearly getting nowhere with all this, he enlisted a handful of other doctors (calling her a “living culture tube and chronic typhoid gem producer”), including Dr. S. Josephine Baker, a woman who had completed her doctor training in the late 1800s/early 1900s and worked in Hell’s Kitchen among low-income mothers to reduce infant mortality. Dr. Baker was both an accomplished doctor and a woman who built her career on knowing how to talk to women. Mary slammed the door in her face. The next morning, the chase was on. Mary evaded three policemen and several doctors for five hours until she was ultimately caught—betrayed by a bit of her dress—and brought to Willard Parker Hospital. Dr. Baker described the trip as “quite a wild one.” I imagine this said in the driest of voices, but I don’t have any proof of that. Eventually (after approaching her and asking for bits of her bodily functions, stalking her through the city, siccing the city police and strange doctors, and a traumatic arrest and transportation to somewhere she didn’t know), Soper visited Mary at the hospital and tried to explain to her that she was a carrier of typhoid, even if she didn’t think she was. He offered to help free her from her quarantine, hide her identity, and write a book about her, even giving her all of the royalties, if she would just answer some of his questions. She went into the bathroom, slammed the door behind her, and stayed there until Soper left. Mary was ultimately quarantined against her will at Riverside Hospital to live for two years in a cottage on North Brother Island. While there, she wrote a letter, first addressed to the New York American, the newspaper that had outed her as Typhoid Mary, but ultimately rerouted to her lawyer. Her lawyer used it as she tried to sue the Department of Health, even going all the way to the Supreme Court, but the judge dismissed the suit after Dr. Park’s testimony that she was still a danger to the community. The hospital threatened Mary that she would have to stay in quarantine or allow them to remove her gallbladder, which doctors thought may stop her from spreading the disease. 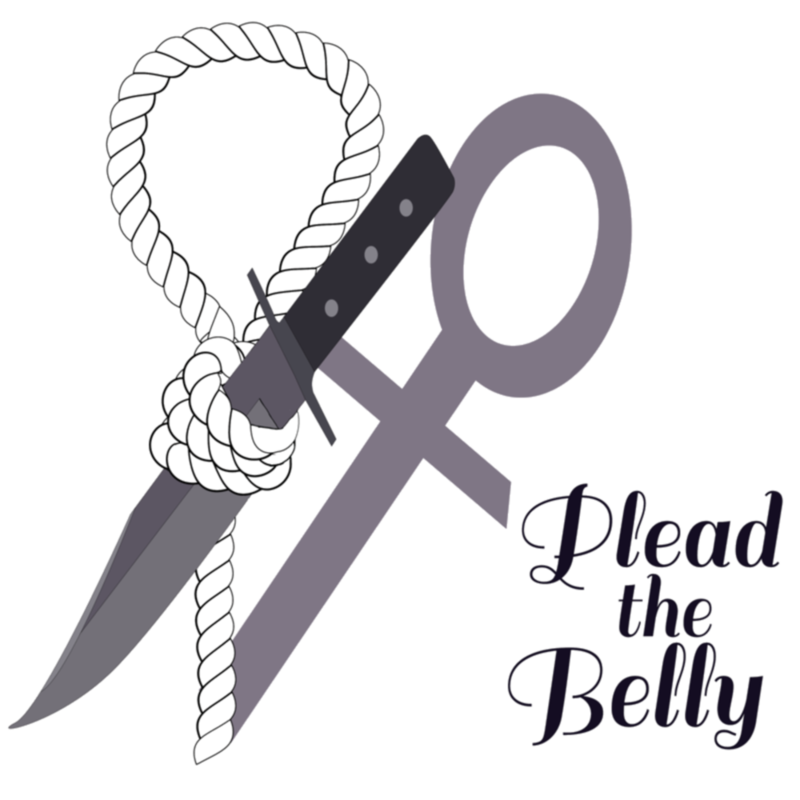 Abdominal surgery was incredibly dangerous at the time with a high chance of infection. Understandably, Mary refused. Just shy of three years since the start of her quarantine, Ernst J. Lederle, the new Health Commissioner of New York, released her. As part of her release, she had to swear never to work as a cook again and to check in with the Health Department every three months. If she obeyed, Lederle promised to help her find employment. While Lederle may have helped her find employment as a laundress—history is somewhat divided on this—he never helped her find employment that could support her financially. Within the first three months, Mary disappeared. But the agencies that placed cooks in wealthy homes now knew what Mary looked like and wouldn’t employ her anywhere, leaving her only able to find work in restaurants, hotels, and hospitals under a variety of aliases. There were a handful of outbreaks over the next five years that have been loosely traced to Mary, including a sanitarium in Newfoundland, New Jersey. Ultimately, Mary was hired at Sloan Maternity Hospital in Manhattan, New York, as Mary Brown. In her three months there, at least twenty-five doctors, nurses, and staff fell ill with typhoid fever, and two people died. Dr. Cragin at Sloan Maternity called Soper in 1915 with news of the breakout, even joking that some of the servants had named their cook “Typhoid Mary.” Soper identified Mary’s handwriting, and Mary didn’t resist when she was arrested. Mary was again quarantined on North Brother Island, this time for 23 years. She never tried to escape and was permitted to take trips to the city and work at the hospital, performing basic medical tests that put nobody at risk for catching typhoid. Mary was found on the ground in her cottage on December 25, 1932, having had a stroke. She never walked again and was cared for at Riverside Hospital for the last six years of her life. She maintained until her death that she hadn’t been responsible for any of the outbreaks attributed to her. Only nine people attended her funeral, but none went with her casket to St. Raymond’s Cemetery. The number of cases Mary has been blamed for varies widely—she may have been the ultimate cause of the typhoid outbreak that caused 3,000 New Yorkers to get ill, but she was directly responsible for somewhere between 51 and 122 illnesses and 3 and 5 deaths. Nobody ever bothered to explain to Mary what a healthy carrier was, and although the germ theory of medicine was well accepted by the medical community, it was still relatively new to the general public at the time. Today, in part thanks to Typhoid Mary, most everyone knows you can pass on illness while being asymptomatic (lookin’ at you, influenza), but nobody took the time to explain that to her or to the population of New York. While she was quarantined the first time, Mary was vilified in the press. Newspapers referred to her as “crawling with typhoid bugs.” New York American included an image of Mary dropping skulls into a skillet in the 1909 article that outed Mary Mallon as Typhoid Mary, despite Soper’s promise to protect her identity. By the second time Mary was quarantined, there were hundreds of healthy carriers of typhoid in New York alone, and up to 6% of people who have recovered from typhoid can still pass the infection to others. Now, Mary, I still have a question. Directly or indirectly, Mary contributed to at least three fatalities, more if the outbreak that sickened 3,000 can really be attributed to her. She lied, repeatedly, about her identity, lied to the Department of Health, and endangered entire families. She’s even managed to get a Marvel villain named after her (which was a handful of years later, to be fair). But Mary was also an unmarried Irish immigrant in the early 1900s. Mary may have actually liked cooking, which, I think we can all agree, is sort of the ultimate goal in finding a career, and the Department of Health took that away from her without ever taking the time to explain to her why, or providing her with alternate sustainable employment. Most of the other work available to her at the time was more physically taxing than cooking and paid significantly less than cooking for middle-class or upper-middle-class families. My question for Mary has now turned into a question for the Department of Health and the New York government. Why didn’t they take the time to explain to Mary at the beginning what this meant? Why didn’t they explain to the press what a healthy carrier was? There are so many op-eds in the newspapers these days that surely we could have spared one for the 1900s. Why was Mary, alone out of hundreds of healthy carriers in New York, the only one quarantined for twenty-six of sixty-three years of life? Mary spent almost half her life unhappy and alone on North Brother Island—much of it because of the choices she made after her first quarantine, but which can be traced back other failings that were not her fault. Mary Mallon deserved better than to be known to history as Typhoid Mary, the woman who willingly and negligently put families at risk and, depending on your definition, was responsible for at least three murders. Encyclopedia Britannica, Eds., 2018: Typhoid Mary. Encyclopedia Britannica, https://www.britannica.com/biography/Typhoid-Mary. Greenwood, V., 2015: The frightening legacy of Typhoid Mary. 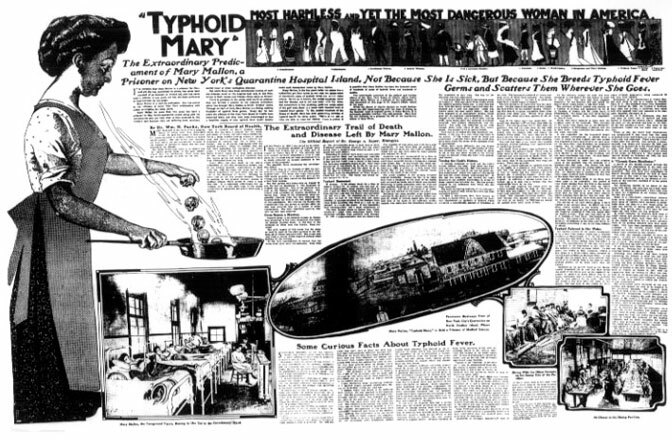 Smithsonian Magazine, https://www.smithsonianmag.com/history/the-frightening-legacy-of-typhoid-mary-180954324. Latson, J., 2014: Refusing quarantine: Why Typhoid Mary did it. Time, http://time.com/3563182/typhoid-mary. Leavitt, J. W., 2004: Typhoid Mary: Villain or victim? Nova, http://www.pbs.org/wgbh/nova/body/typhoid-mary-villain-or-victim.html. Marineli, F., G. Tsoucalas, M. Karamanou, and G. Androutsos, 2003: Mary Mallon (1869-1938) and the history of typhoid fever. Ann. Gastroenterol., 132–134, https://www.ncbi.nlm.nih.gov/pmc/articles/PMC3959940. Markel, H., 2014: Typhoid Mary’s life sentence in quarantine. PBS, https://www.pbs.org/newshour/nation/typhoid-marys-life-sentence-quarantine. Smith, K. N., 2017: Who was Typhoid Mary? Forbes, https://www.forbes.com/sites/kionasmith/2017/09/22/who-was-typhoid-mary/#3408c501e3ee. Tyson, P., 2004: In her own words. PBS, http://www.pbs.org/wgbh/nova/typhoid/letter.html. Chelsea is a guest blogger with interests in Psychology and Literature. Find more from Chelsea on her blog Midwest Sensibility and Twitter.